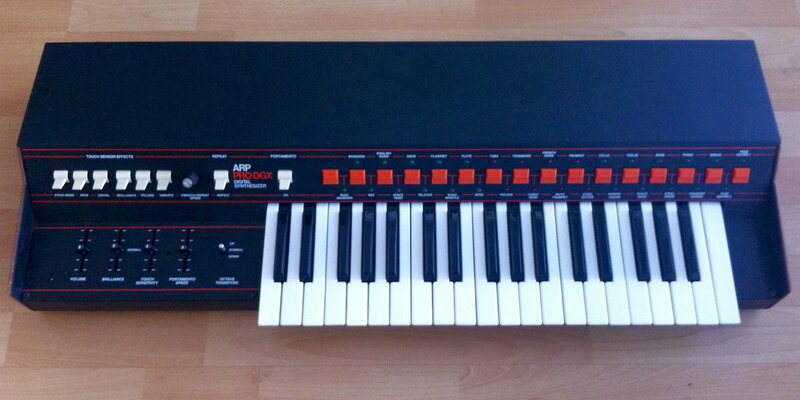 The third version of the ARP Pro Soloist was released in 1977 and was produced till the end of ARP in 1981. These presets used different adjusted preset values for fundamental octave, waveshape selection (pulse/sawtooth), the pulse width, resonator preset EQ banks (ranging from 2 to 5 bands), a high pass filter, a lowpass filter and a VCA. Additionally the two envelopes (AR and ADSR type) are routed to the lowpass filter or the VCA in different combinations and amounts. By momentary switches a logic array was set to change the presets parameters amounts and routings.